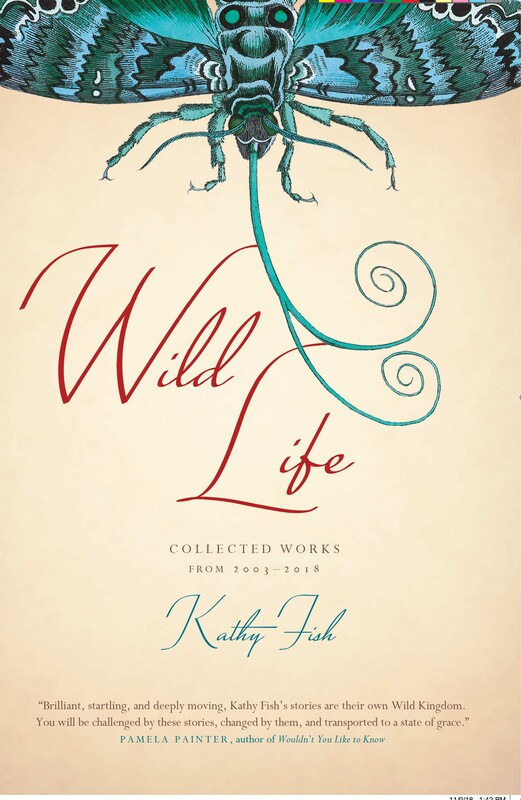 Let me be completely honest: I jumped at the chance to review Kathy Fish’s latest collection, Wild Life: Collected Works from 2003-2018. Some of my enthusiasm was because I’ve taken one of her 10-day Fast Flash online workshops (an intense, prompt-based generative flash fiction course), thus had already been introduced to a mere slice of the kinds of approaches that influence Fish’s deeply creative process. But more so, I was eager to review this collection because I’d read perhaps a dozen of her flashes in the past, and I wanted more. As this vast collection of 109 stories shows, Fish is a tireless flash fiction maven and master. What can you say about a writer who has come to be synonymous with the short short form that hasn’t already been said? Anyone familiar with her work knows: Fish can write, and she doesn’t need a lot of words to press a bruise or ignite a spark of hope in your heart. What emerged as I read the collection is that Fish is a keen observer of life and living when she is not writing, and she is skilled at using small twists to make every story its own micro-masterpiece. It also makes me wonder if she has volumes of notebooks filled with details plucked from the wild like “Frankfurter and Macaroni Gelatin” or how someone “loves cottage cheese” or might smell like “candy cigarettes” to use in her stories; there are certainly no clichés or tired plots in this collection. The first two stories (“Collective Nouns for Humans in the Wild” and “The Once Mighty Fergusons”) make it immediately clear that Fish intends to hold up a mirror and show us the heartache and heartbreak of what it means to be human in this world, and they are among my favorites. Indeed, there is deep humanity in all of Fish’s stories with themes often circling around loss, grief, family neglect and dysfunction, what it means to love and be loved (or not), and to leave and be left behind. And because of Fish’s nuanced and unflinching portrayal of characters—lo, flawed individuals and broken relationships so many of us might recognize from our own lives—it is not a collection to be read all in one sitting; the emotions and lingering questions Fish evokes with her stories deserve better, to be contemplated only a few at a time. Fish’s trademark strengths are showcased in this rich collection. The shortest of her stories were among my favorites (especially “One Purple Finch” and “The Cartoonist”) not just because of the story itself, but the brevity she uses to tell it. The structures of “Cancer Arm,” “Three Likely Stories,” “Strong Tongue,” and “Five Micros” are Fish flash in its finest form. Plot and compressed forward movement can be challenging in flash fiction, but Fish shows us it can be done well in “Collection Day.” The heartbreak that can be childhood and family is handled so deftly in “Backbone” and “Disassembly.” In several stories—like “I Have Not Pushed Back My Cuticles With an Orange Stick Since the Nixon Administration”—Fish gives equal weight and merit to the title of the story, a workhorse in its own right in flash fiction when done with this kind of precision. Even the placement of stories throughout the collection has been thoughtfully considered, with the last one, “Space Man,” giving the reader the kind of optimism that I am certain Fish also must carry in her own life.